What's The Difference Between A One-Way and a Two-Way Remote Start? What is the Difference Between a One-way and a Two-way Remote Start? A common question we get at Enormis Mobile Specialties in Erie is about the difference between a one-way and a two-way remote start. That is a great question. Follow along with us as we provide the answer. 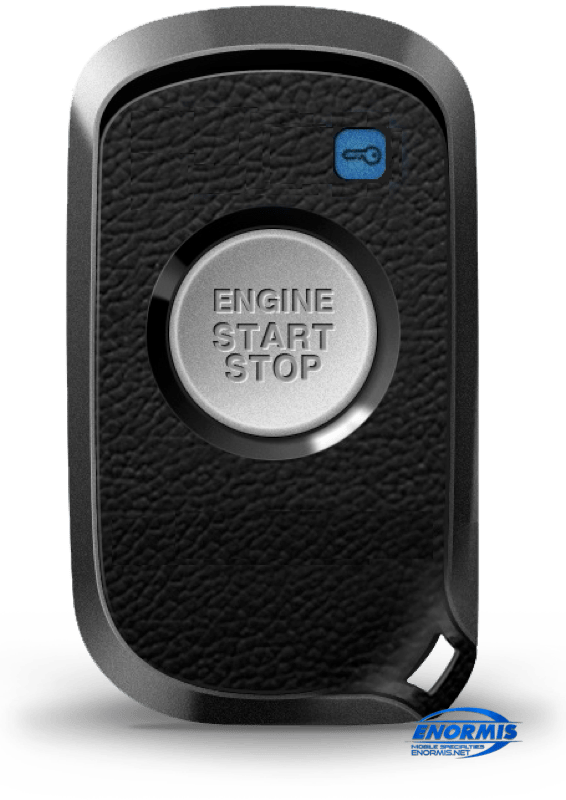 If you have ever used a key fob to control the keyless entry system on your vehicle, you have used a one-way remote control. The term “one-way” defines the communication process. Your remote control sends a signal to your vehicle in one direction. When you are remote starting your vehicle from home, this style system works just fine. Enormis has one-way systems in multiple levels of range, beginning with reusing your factory remote for systems with up to .6 miles of range, allowing you to warm up your vehicle in many spots, including while you’re at work, out to eat or shopping. The downside of using a system with this technology is you don’t know if your vehicle has started when it is out of eyesight. Now, you may be thinking, “Why do I need this technology, since I’m only going to start my vehicle from home?” We hear this all the time. From experience, we can tell you that once you go out to a warm vehicle one time, you will never want to be cold again. And imagine walking out to your vehicle after it sat at work for hours and you didn’t have to scrape ice or snow off your windows like everyone else. Doesn’t that sound wonderful? We thought so. In these instances, getting confirmation that your vehicle has started, is warming up the interior and is melting away any precipitation is a great benefit. If you are like most people and own an iPhone or Android phone, our Drone smartphone system may be perfect for you. Imagine having almost unlimited range. As long as the module we install in your vehicle can access cellular service and your phone can access cellular service, you have unlimited range. You can be out to dinner with friends in their vehicle. When you are 10 minutes from where you are parked, simply pull out your phone, fire up the Drone app and start it. Your vehicle will confirm back to the phone once it has started, and you are now on your way to a warm, cozy ride. Enormis Mobile Specialties is not a car stereo store. Our company is an automotive electronics specialty shop that understands the electrical system in your vehicle. Every day, we diagnose and fix electrical issues in cars, trucks and SUVs. What this means to you is a better-quality installation, giving you years of reliable service. We invite you to stop by our shop in Erie, Pennsylvania, and get to know us better. One of our remote start experts will work with you to find the best solution for your needs. You can also fill out our remote start quote form by clicking HERE.